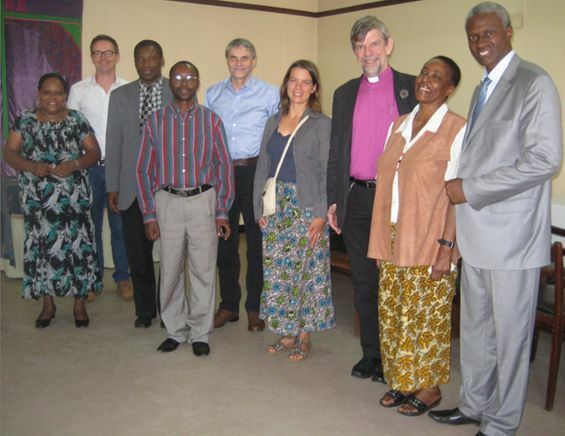 A high powered delegation from Danmission (Denmark) led by the Danmission Chairperson Bishop Peter Fischer-Muller visited the head office of the Evangelical Lutheran Church in Tanzania (ELCT) in Arusha on the 11th January 2013 to share experience and inspire staff of both sides in order to flourish in global Christianity mission. To receive them was Mr Abel Mrema the Deputy Secretary General for Finance and Administration on behalf of the ELCT Secretary General, Mr. Brighton Killewa. Mrs. Rachel Ramadhani and Mr Mrema (Right) who led the discussion. Among topics touched during discussion, the representatives of the two churches dwelt on: the decentralization of Danmission programmes to ensure better and closer cooperation with partner churches. The Bishop said that one way to flourish in relations is by seizing the opportunity to nurture our collaboration to become a partnership; considering one another as partners who can exchange, mutually inspire each other, hence both parties contributing and gaining. The Secretary General of Danmission, Rev. 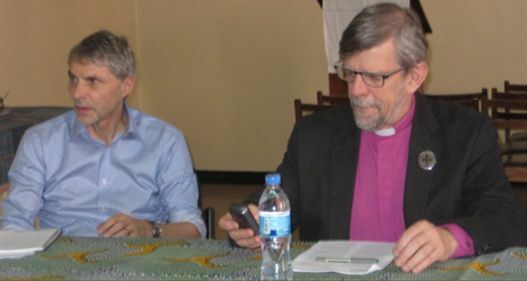 Mogens Kjaer, who accompanied the Bishop said in the spirit of decentralization the Danmission has opened an office at the ELCT head office and that two missionaries: Mrs. Kristine Kaaber Pors, the Danmission programme consultant for development, and Mr Jens Kaaber Pors, an IT specialist, have been assigned to serve in the office. The two missionaries were present as part of the Danmission team. 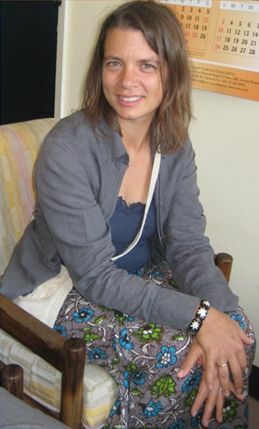 Danmission Programme Consultant for Development. Danmission will have a regional representative for Tanzania and Madagascar with effect from August 2013. This position hitherto has been operating from Denmark. Other areas that were touched on were challenges in theological involvement through exchange of pastors; church growth and the training of theologians; ecumenical collaboration with other churches and issues related to religious tolerance and interfaith dialogue. The two sides agreed to look into more partnership consultations and dialogue aimed at sustainability of their programmes, so as to flourish the Christian mission.